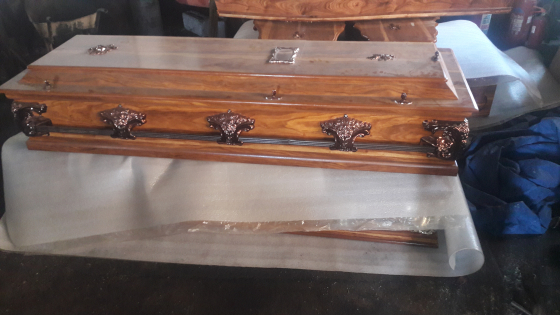 Good quality caskets available at factory price. Mahogany finish, gold trim handle all round, white satin interior. Why pay R6000 at undertaker? Take your own coffin at only R1950.